There are still places available for this, our next music week! Join us in late September for our annual autumn old-time music week. And don’t be fooled by the word autumn; the weather is usually at its best at this time of year and the swimming pool will be in full form! Beverly Smith has been a key master teacher at this week for several years, and her very accomplished teaching style is warm and completely accessible to players at all levels. Beverly is joined by her partner, guitarist and banjo player John Grimm. These special teaching guests have been working together for a couple of years now, making great duet music. They’ll be offering classes in fiddle, banjo, guitar, and duet singing. In addition, we’ll have Kate Lissauer, Johnny Whelan, Joff Lowson, and other teachers yet to be announced, offering classes on their favourite topics, such as various banjo styles, beginners’ instrumental, ukulele, percussive dance, or singing with your instrument. In fact, you can request tuition in any topic related to old-time country music, and we will do our best to accommodate you. The price is £595 for everything apart from travel and transfers. This includes accommodation and meals, tuition, and use of all facilities. We will arrange your transfers at the lowest possible prices. One of the most respected guitar players in old time music today, Beverly is also a wonderful fiddler, and in demand as a singer and dance caller. 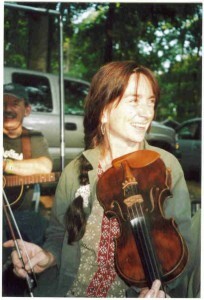 Besides her three highly praised recordings of early country duets with mandolinist Carl Jones, her guitar playing has been featured on recordings of fiddlers Bruce Molsky, Rafe Stefanini, Tara Nevins and Brad Leftwich, and her singing with Mick Moloney, John Doyle, Laurie Lewis and others. Along with June Drucker, Rose Sinclair and Tara Nevins, she was a founding member of The Heartbeats Rhythm Quartet. She has taught guitar, fiddle and dance at music camps including Ashokan Southern Week, Augusta Heritage, Swannanoa Gathering, Blue Ridge Old-Time Music Week, Festival of American Fiddle Tunes and Summer Acoustic Music Week as well as Sore Fingers UK; Haapavesi, Finland; and La Fuente del Musica in Spain. She has been a featured guest on A Prairie Home Companion, ETown, Mountain Stage and Voice of America, has toured extensively in both the US and the UK, and has played concert halls and festivals all over Europe, Canada and the US. Her guitar playing was featured in the October 2000 issue of Acoustic Guitar Magazine. Besides her duo with John Grimm, Beverly currently plays and tours with Alice Gerrard, the indisputable Queen of Old Time Music. is an award winning fiddler and multi-instrumentalist who has played with many old time bands such as The Georgia Mudcats, The Georgia Potlickers, and Rural Radio Company. He was a recent recipient of the Dr. Gene Wiggins Award in recognition of long and significant contributions to traditional music in N. Georgia. Dr. Wiggins was the author of the book “Fiddling Georgia Crazy” the definitive book on fiddler John Carson. John played the role of John Carson in the PBS film “The People vs. Leo Frank” and has appeared in the Atlanta production of “The Cotton Patch Gospel”. 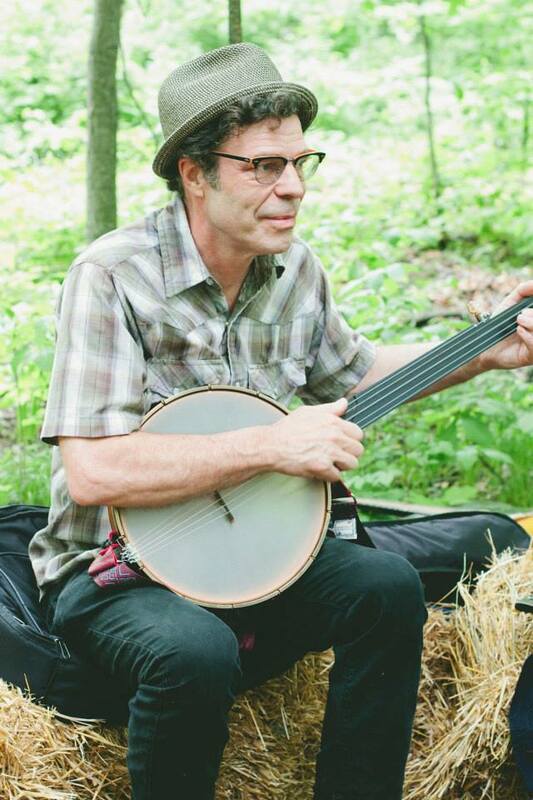 In addition to his old time performances he teaches fiddle with the highly successful “Pick & Bow” after school program, and has played with The Indigo Girls, Jonathan Byrd, Shawn Mullins, Rising Appalachia, The Little Country Giants, Pauline Scanlon and others. 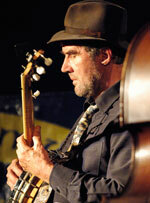 Joff Lowson began playing guitar and both frailing and Scruggs style banjo at an early age. He played with top UK bluegrass act the Jalapeño Pickers, and with the Highfield Boys won ‘Best Band’ prize at Leeds Country Music Festival. He has performed on national radio in the UK and Holland and toured Scotland, Ireland, Germany, Holland, and France. Joff currently teaches banjo, guitar, mandolin and songwriting and performs with the UK’s top Old-Time band the Buffalo Gals. Joff will teach Guitar and Beginners’ Instrumental. John Whelan has been playing country and mountain music on the five-string banjo for many years, his initial enthusiasm for American music ignited by the music of Derroll Adams and Jack Elliot, whose early forays into the British folk scene were highly influential in sparking interest in the instrument. John has learned from and been inspired by some of America’s finest pickers, and has developed a creative and versatile style, including his own brand of two and three-finger picking. Johnny will teach Beginners’ Banjo and Fingerpicking Banjo.